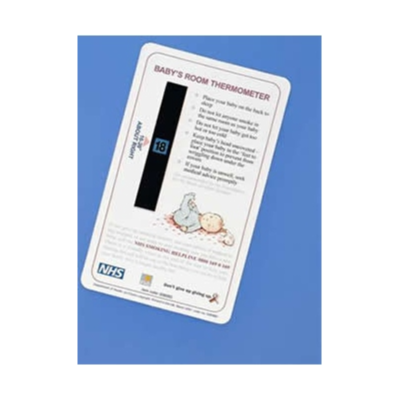 These safety thermometer cards ensure that an infant’s room is not dangerously too hot or uncomfortably too cold. 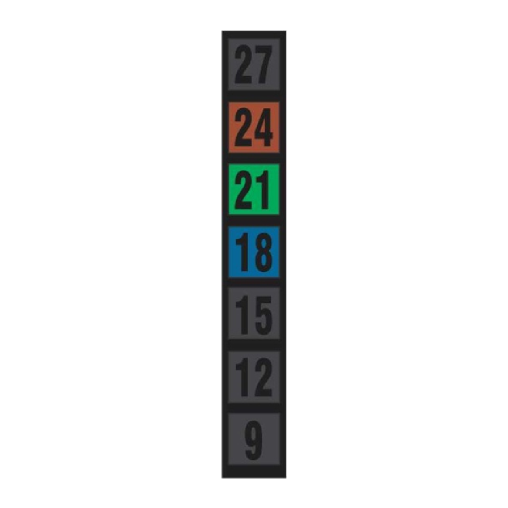 7 Event BGOR Thermometer. 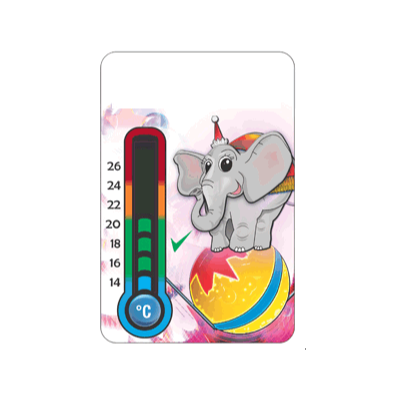 NEW Easy Read thermochromic display, with continuous moving scale that increases or decreases with temperature. 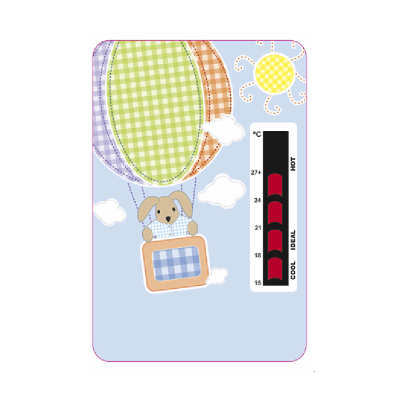 Perfect for monitoring baby and child bedroom temperatures. 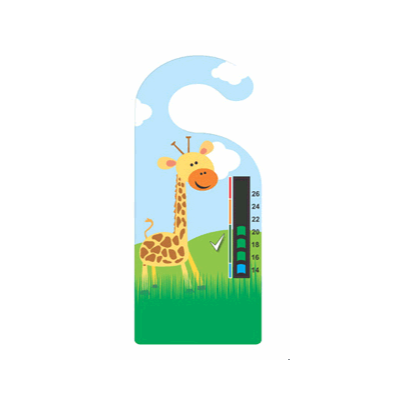 5 Event BGOR Thermometer. 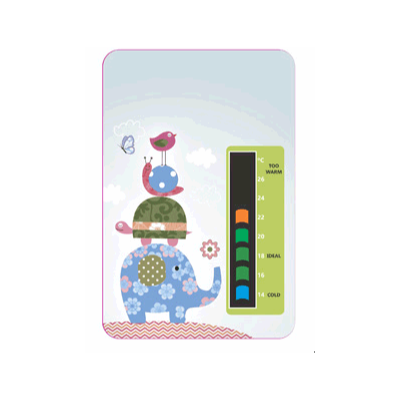 NEW Easy Read thermochromic display, with continuous moving scale that increases or decreases with temperature. 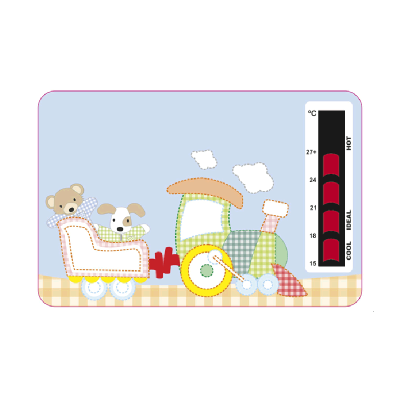 Perfect for monitoring temperatures in a baby or child’s bedroom. 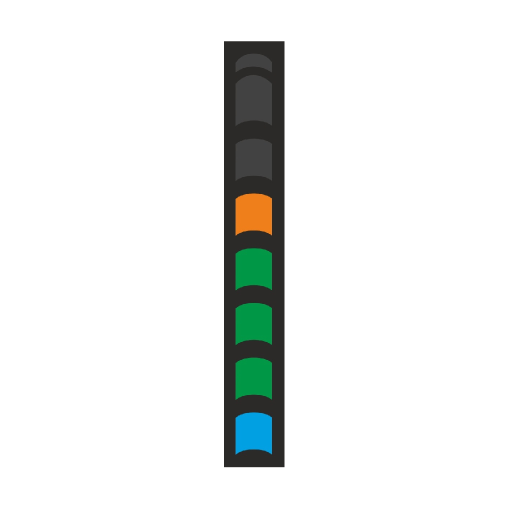 7 Event Liquid Crystal Thermometer. Read Green Colour. Perfect for monitoring room temperatures.